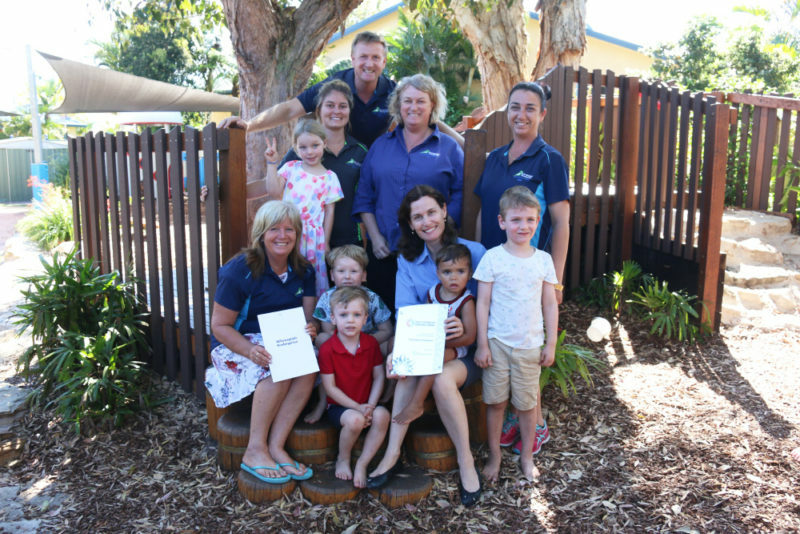 Willy Wagtails Kindergarten in Yamba has taken out a state award at the 2018 Early Childhood Education Week Awards, which were held in Sydney recently. The program which is run by Childcare Alliance (NSW) saw the early childhood centre selected from over 450 entries as a finalist in four categories; taking out the category of ‘Inclusive Practice – Everyone is Welcome’. Kindergarten co-owner Vanessa Johnson said that they have entered the awards and been finalists for the last three years, but this is the first year that they have won. “We have an education week that we celebrate in the centre that’s run in July and after that we had to put an application together on inclusivity practices,” Vanessa said. “We had members of the Yaegl community that were able to come and visit us and share their knowledge with the children. “We also had one of our grandparents who came down and played didgeridoos and shared some traditional songs and stories with all the children. “One of our young boys, whose family had been living up north in a big Indigenous community, brought in some paintings from home that he shared. “We also did some exploration of Indigenous symbols that the children explored through drawing,” she said. Vanessa said that it is nice to have those practises embedded within the service on a regular basis, recognising the Indigenous community as being such a strong part. “It’s wonderful to receive this recognition,” Vanessa said. “This win is testament to the hard work and dedication to our wonderful educators here at Willy Wagtails,” she said.